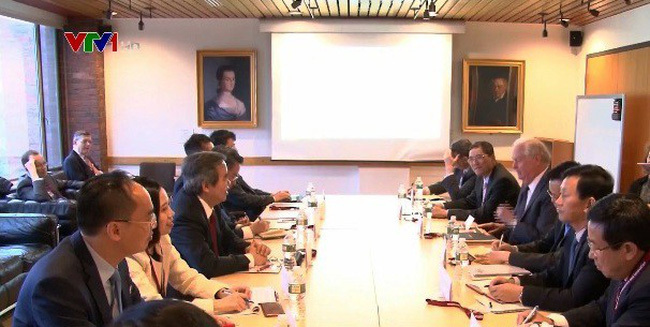 VTV.vn - Continuing his visit to the US, Nguyen Van Binh, head of the Communist Party of Vietnam Central Committee's Commission for Economic Affairs yesterday talked with professors of the Harvard Kennedy School in Boston city, Massachusetts. Highlights of the discussion included energy policy trends, renewed and creative technologies, the 2019 economic outlook and implied policies for Vietnam. That same day, Mr. Nguyen Van Binh visited the Massachusetts Institute of Technology and Omni Parker House Hotel, where late president Ho Chi Minh used to live more than a century ago.